EKSU Convocation Ceremony Programme of Events. 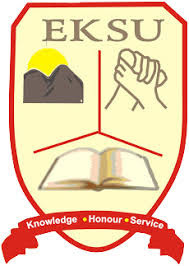 Read Also: Convocation: EKSU Notice to Graduands on Collection of Gowns, Others. Each graduating student is entitled to two invitation cards. The invitation cards and a set of academic robe would be available for collection on presentation of receipt. Convocation Brochure will be distributed to accredited graduating students inside the hall. The Vice-Chancellor, Professor Samuel Oye Bandele congratulates the raduating students on behalf of the University Community and wishes all participants a wonderful ceremony.